“Mummy says you have a baby in your tummy,” Miss4 announced to her Auntie Bee in a tone which seemed to seriously question if this was a good idea. The Miss4 in this particular story, along with the Miss3 and the Master6, are not mine. 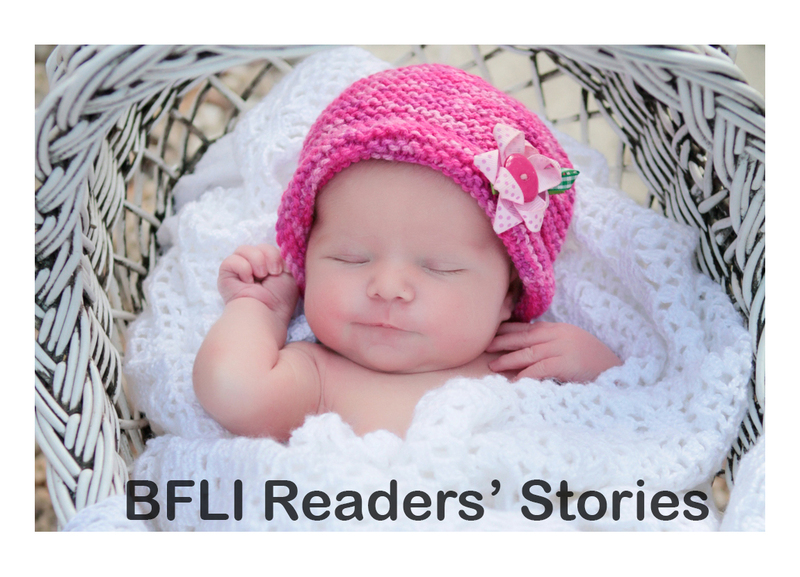 In fact, this story comes courtesy of a lovely BFLI reader, Belinda Reynen – or as we shall henceforth refer to her, Bee. “That’s right, sweetheart,” said Bee sweetly, preparing to enjoy this exchange. She couldn’t help but think it wouldn’t be long now and it would be her own little bundle of joy growing up and making cute, if somewhat critical, statements. This is going to be good practice, she thought eagerly. As happens whenever you talk to someone your unborn child, Bee’s hand brushed gently over her swollen belly. As happens whenever you talk to a four-year-old, the conversation didn’t proceed the way she envisioned. “Did you eat it?” continued Miss4. The question would have seemed weird enough all on its little lonesome, but the calm, even, almost apathetic delivery made it seem almost macabre. By now Miss4’s three and six-year-old siblings had stopped watching the telly and were also looking questioningly at their aunt. “Well, how’d it get in there?” asked Master6. Bee glanced towards the kitchen where her sister had gone to take a call. This really felt like the conversation was bordering on the sorts of themes parents prefer to tackle themselves: parents and any aunties who unwittingly find themselves on the sharp end of the questions. Fighting off the to scream, “Get off the phone! We have a situation!” to her sister, Bee tried to think of the most innocuous but honest answer she could. “Uncle Lee put it in there,” she said. …and Bee breathed a sigh of relief. They were off the how and onto the who. Like most heavily pregnant women, and their partners, she was quite happy to talk about the baby and its imminent arrival. “We won’t know till it arrives,” she told her nephew and two little nieces. Which earned her two dismissive smiles and a frown. “But didn’t Uncle Lee put it there?” Miss4 asked her. “Yeeeee-eeees?” said Bee, wondering where Miss4 was going with this. She glanced hopefully towards the kitchen to see if the cavalry had finished with her phone call yet, because it felt suspiciously like they were about to head back towards the how questions. Which was when it all got very serious. Miss4 was clearly smelling a rat. She stood up, put her hands on her hips, tilted her head to the side and loudly demanded answers.